Don't miss the annual Village Picnic on Sunday, August 14 from 3-7 p.m. at the Village Green Park! The cost is $5 per person (children 6 and under are free) which includes refreshments and a buffet-style dinner prepared by Cecelia's Catering. Activities for kids include balloon animals, a bounce house and playground area, and they can also meet a firefighter or police officer! Tribute to the Old Danish Beer Garden! This year's picnic will pay tribute to the old beer garden that was once in Village Green Park. There will be a beer garden area with fresh local brews served up by Public Craft Brewing Company of Kenosha. Note there is an additional charge for beer; 21+, ID required. Calling all classic car owners: this year’s picnic will include a classic car cruise-in along the east side of the park! Please contact Tom Savas at 639-6157 to RSVP your classic car! Restrooms are on site. A large tented area will be provided courtesy of Johnson Bank. The Village Picnic is organized by the Wind Point Community Club, a non-profit group that has been promoting social activities in Wind Point since 1923. Note the picnic is limited to Wind Point residents. RSVP appreciated by August 12 using the button above, emailing windpointcommunityclub@gmail.com or calling Cel Heck at 262-639-5370. 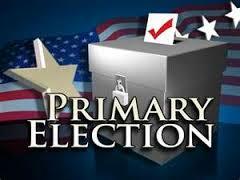 The partisan primary election will be held on Tuesday, August 9. Voting in Wind Point is at The Prairie School in the lobby of the Johnson Athletic Center. The polls are open from 7 a.m. to 8 p.m. The photo ID requirement will be in effect for the partisan primary election; remember to bring a valid photo identification in order to receive a ballot. Please note electors may only vote in one party’s primary. To view a sample ballot, click here . If you are unable to make it to the polls on election day, absentee voting is available at the Village Office until Friday, August 5 during normal business hours. Field staff from Associated Appraisal will be starting property inspections on Monday, August 1 for the 2016 revaluation project. They will make their way through the Village over the course of about a two week period. All staff members from Associated Appraisal will carry a letter of introduction on Village letterhead, a photo ID and drive a red vehicle displaying the Associated Appraisal company name. If no one is home when visiting a property, a door hanger will be placed on the main entrance with instructions on how to schedule an interior review. Please wait for the door hanger to schedule your appointment. If you own rental property in the Village of Wind Point, please inform your tenants that we will be visiting that property in the near future so we have their full cooperation for this review. To help us save on the cost of certified mailings, please be home for the initial inspection or schedule an inspection shortly after receiving the door hanger. For more information on the revaluation inspections, click here to view the introduction letter from Associated Appraisal or visit the 2016 revaluation information webpage. For further assistance, please contact Associated Appraisal at 800-721-4157 or the Village Office at 262-639-3524. Thank you for your cooperation with this important project! At the Village Board meeting on July 14, the Board appointed Donald Gloo of Cherrywood Ct. to fill a vacant trustee position expiring in April 2017. Donald has lived in Wind Point for 10 years. His wife works in the legal department at SC Johnson, and they have a daughter attending The Prairie School and another daughter attending college in Massachusetts. Don brings 29 years of experience working in city, county and federal government. Welcome to the Board, Don! 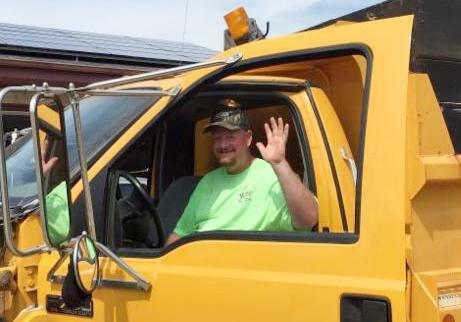 Meet New DPW Assistant Joe Thoennes! We are pleased to welcome Joe Thoennes to the Village staff as Public Works Assistant. 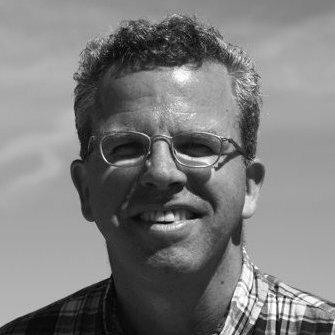 Joe has over 18 years of experience in truck and equipment operations. He lives in Racine with his wife, Deb, and two young daughters. Joe enjoys hunting, fishing, bowling and softball. The bicycle and walking path located along the west border of the Entomology Research Center is expected to be resurfaced this summer or early fall. The path runs from Four Mile Rd. down to Lake Meadow Dr. and then picks up again east of the pond and runs from Campus Dr. to Three Mile Rd. The path is located on property owned by SC Johnson, Wind Meadows Corporation and The Prairie School. The Village has agreed with the parties on a cost-sharing arrangement to complete the resurfacing project. Both SC Johnson and the Village will contribute $10,000, The Prairie School will contribute $1,766 for the portion on their property and Wind Meadows will contribute the remaining $11,257. Parties are also discussing an arrangement for the Village to accept day-to-day maintenance of the path. The path will be closed for a period of up to a week during the resurfacing project. 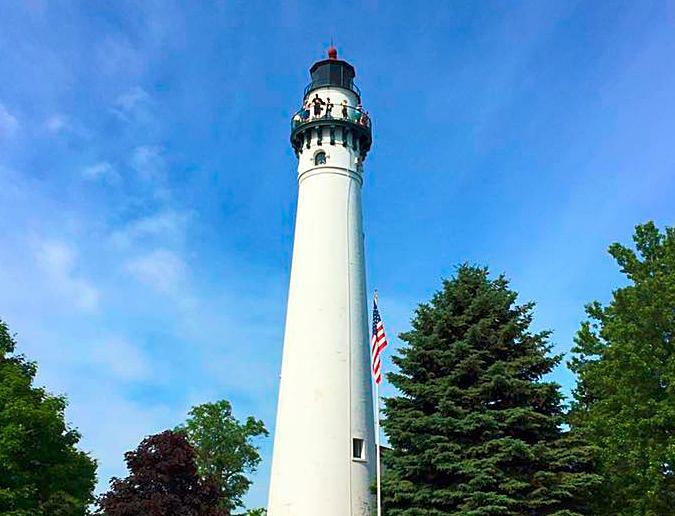 Residents of Wind Point know that summertime means people from around the country will be stopping by the lighthouse for our tower climbs. This summer we have already had amazing turnout at the climbs with 207 participating on the July date alone! Since this is the first year that the Village has been responsible for the tower tours, we have been using an online survey to make sure that we are providing our guests with a good experience. We are proud to say that the results from the survey have been very positive! The average score for overall experience has been 4.75 out of 5. Nearly 98% of respondents found the information presented interesting and 100% found the staff and volunteers to be friendly and courteous! 90% of respondents said they would definitely recommend the lighthouse to a friend, and since almost 50% said that they heard about us from “word of mouth” we are happy that they are going to be spreading the word! We have also been using the comments from our guests to help us plan future tower climbs, and we have already gotten a few helpful tips from them. The Village Board and staff thank our wonderful caretakers Mike and Susan Arts, and all of the volunteers, who have made the lighthouse experience so much fun for our visitors. Join us for the next open tower date on Sunday, August 7th - click here for more information. 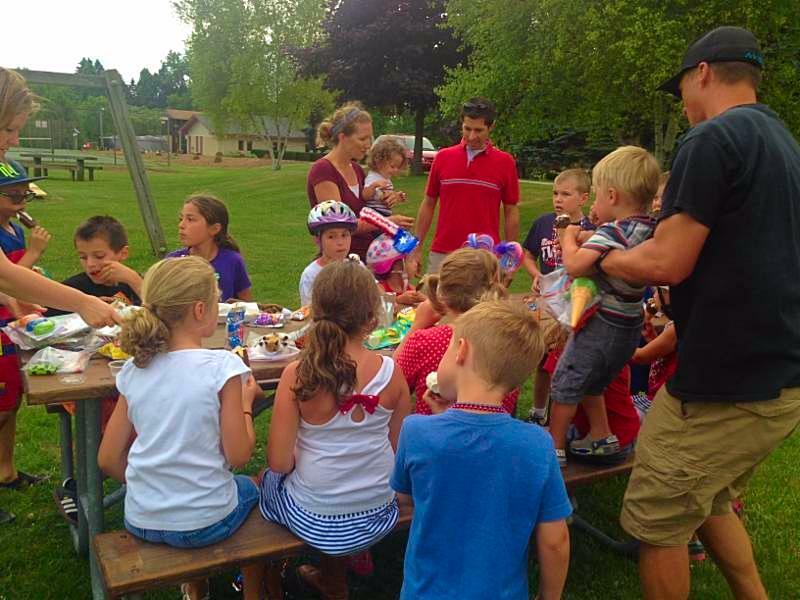 Kids gathered for an ice cream social after the Independence Day Bike Parade on June 30. 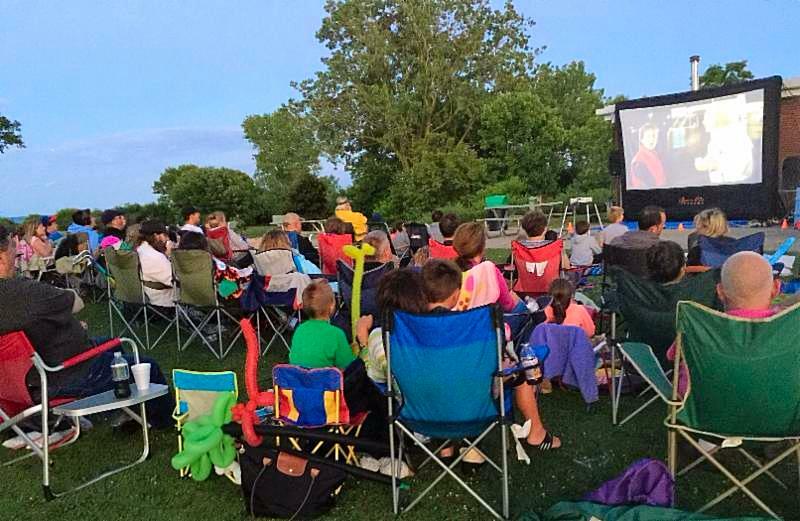 Over 100 people gathered to see Back to the Future at the outdoor movie night on July 8 organized by Wind Point Living Magazine. 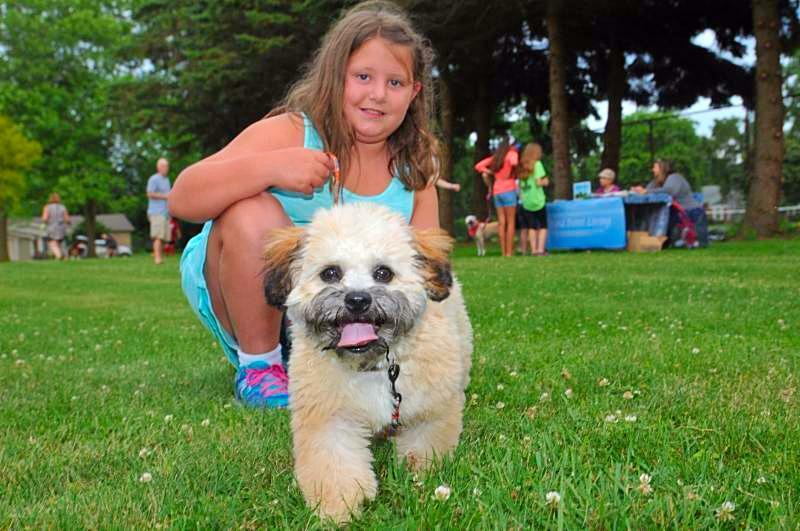 The Wind Point Pet Parade was held at Village Green Park on July 6. Randy Miller was honored at the Village Board meeting on July 14 for his 35 years of service. Crews from Fahrner Asphalt were in the Village on Wednesday, July 27 to slag seal on Hunt Club Rd. (and nearby roads) and Windridge Rd. The roads will be vacuum swept and then inspected by Village staff and the contractor. We are aware of some bumps on the sealed surface and we will be making sure these will smoothen out or are otherwise addressed. The Village enforces building and zoning codes to protect the safety of residents and to ensure that work meets national, state and local standards. We strongly encourage homeowners to contact Village staff during the early planning stages of a project to determine the code and permit requirements. Permits are required for a wide variety of home improvement and maintenance projects, including (but not limited to) additions, decks, driveway resurfacing, patios, roofs, siding, windows, remodeling, cabinetry, garages, sheds, new or replacement plumbing fixtures, electrical work, new or replacement furnace, boiler or air conditioner or work in the public right-of-way. Contact the Village Office at 262-639-3524 or info@windpointwi.us for permit information, or call the Building Inspector, Lee Greivell, directly at 262-424-6957. 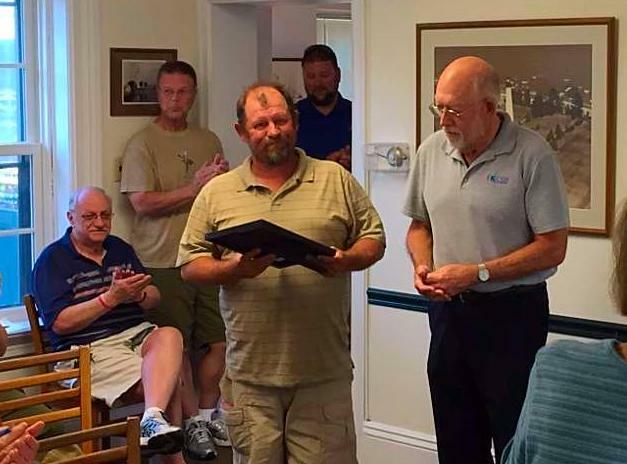 Presented a proclamation to Randy Miller in recognition of his retirement after 35 years of service to the Village. Interviewed four candidates for the village trustee vacancy and selected Donald Gloo for the appointment. Approved a revised proposal for Village Green Park engineering and design services in the amount of $21,480. Approved a 2016 Wage Schedule Amendment (Resolution 16-R07) reflecting new hires and an increase to the management intern wage range. Approved a Memorandum of Understanding giving the Village authority to coordinate the path resurfacing project on property owned by Wind Meadows and The Prairie School. Approved a bid submitted by Waukesha Roofing & Sheet Metal in the amount of $90,675 for the lighthouse roof, gutters and chimney project, subject to village attorney approval of the contract. Also approved hiring Roofing Consultants LTD to conduct the final inspection and punchlist for an amount not to exceed $650. Heard a recap of the July lighthouse tour date and discussed short-term and long-term goals for the lighthouse. Reviewed an initial 2017 Budget timeline. Approved the issuance of a Temporary Class “B” Beer License to Wind Point Community Club for the Village Picnic on August 14, 2016. Referred the administrator to follow up with the assessor regarding the revaluation schedule, to issue a special E-News announcement regarding the Ironman Racine on Sunday, to review Village policies or ordinances relating to dead trees on private property (and follow up with identified trees, if applicable). Also referred staff to review the drop-off near the edge of the road on Valley Tr. The next regular meeting is scheduled for Thursday, August 11 at 5:30 p.m. at the Village Hall (lighthouse).